Article by Claire Allan ©. One of the biggest lessons I’ve learned in my writing career is that you will always, always continue to learn. And that you really don’t know what way the writing journey will take you next. I’d never intended to write a thriller. I had wanted to write something perhaps a little darker than my eight previous books but I never thought that would end up sending my career on a completely unexpected path into the world of mystery and crime. 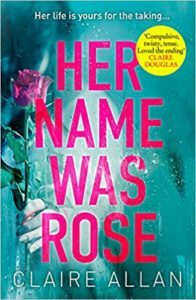 My debut crime novel, Her Name Was Rose, could not be more different than the first book I wrote when I decided I wanted to try my hand at being author some 12 years ago. Rainy Days and Tuesdays was the story of a frumpy, fed up new mum who found herself trying to transform her life while she came to terms with her post-natal depression. 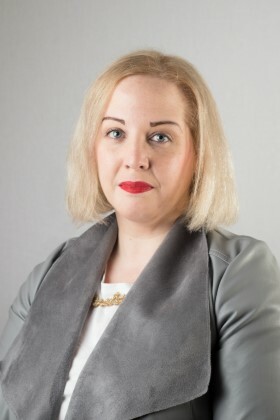 Yes, of course the theme of depression is quite serious, but the story was told with dashes of humour throughout and I was delighted to become a part of the women’s fiction powerhouse that Irish writing had become. I followed it with seven more novels – dealing with a variety of issues and, indeed, my last two novels were heavy on the romance. My 2013 novel The First Time I Said Goodbye was well received, particularly in the States where it earned me a strong audience. And yet, in 2017 I found myself diving headfirst into writing Her Name Was Rose, with a vigour and enthusiasm I hadn’t experienced in a while. Still, I very quickly learned that I had to go back to school when it came to writing. I knew very little about how to structure a crime novel. I could do with a little help working on my characters. (I was advised I needed a little more light and shade rather than just to have them divided into clear goodies and baddies roles). I had never been much of a plotter, but if there was one thing I knew from reading crime novels is that plot, and in particular, all the twists and turns come with them, require a certain level of planning. Red herrings have to be dropped. Little, almost imperceptible, flags have to be written into the text so that in hindsight the twist makes perfect sense. (Think of the movie ‘The Sixth Sense’ – once you know the twist you can watch the movie again and pick out the clues, which, of course, feel obvious now). It’s always good to leave a little room for a book to surprise the author while writing, but plotting a good thriller takes a lot of effort before you’ve even put pen to paper. I spent about two months working on Her Name Was Rose having only written the opening chapter. I took my main characters, protagonist Emily, Cian and Rose and wrote lengthy character sketches. I read a number of blog posts by American writer Chuck Wendig who made the whole issue of plotting and pacing accessible and entertaining and then I drew spider charts and filled half a note book with scribbles and ideas. Only then did I feel in a position to actually be able to sit down and write the full book. It was different from anything I had ever done before and yet I found it thrilling. I was writing characters completely outside of my comfort zone, but with the guidance of Chuck and his blog posts I felt less intimidated than I may have done otherwise. With every turn I asked myself: could the book be a little darker? Could I twist the knife a little deeper? How far could I push my characters but still remain within the realms of plausibility? Sometimes it led me to add an extra layer of menace. Sometimes it didn’t work, but it was fun to try. No part of writing this book, even though it went through countless drafts, was wasted. I learned more from writing Her Name Was Rose than anything else I’d ever written. I accepted from the start of the process that I was new to this. So I threw away any ego I had borne out of writing eight previous novels and I wrote as if this was my first time even attempting to write a novel. As a result I think I have written my best novel to date and it’s one that I am so very proud of. And it has taught me the best lesson of all: approach every book as if it is your first. Never stop learning.